From Hawaii to the Lone Star State, here are America’s priciest properties, led by $175 million Jackson Land and Cattle Ranch, pictured here, which is listed by Hall and Hall. These 1,750 acres are simply the most phenomenal property to come to the market in the Teton Valley in decades. 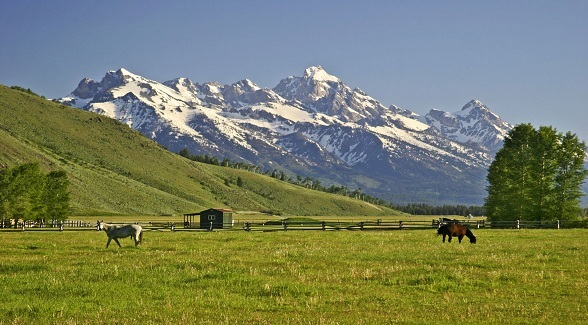 Jackson Land and Cattle is one-of-a-kind in every respect: world-class improvements, including an equestrian center designed by Jonathan Foote, AIA; lack of any development restrictions; and don’t forget the stunning Teton views. Hall and Hall’s John Pierce has the listing. This 1,848-acre working cattle ranch was pieced together by the Walton family beginning in 1958. The family placed the ranch under conservation easement in 1983. Billy Long and Ron Morris of Ranch Marketing Associates have the listing. This oceanfront parcel is on the market for the first time in three decades. Spanning 2,175 acres just west of Santa Barbara, it’s one of the largest remaining ranches along the breathtaking Gaviota Coast. Kerry Mormann & Associates has the listing. These 210 acres on Lake Tahoe are crowned by a 20,000 square-foot mansion. Owned by Tommy Hilfiger co-founder Joel Horowitz, it was originally priced at $100 million in 2006. Listed by Shari Chase and Sue Lowe of Chase International. 112 acres in Los Angeles’s tony Brentwood enclave. The roomy ranch house, which was designed by Robert Byrd, features 17 bedrooms and 17 bathrooms. Joyce Rey of Coldwell Banker Previews International has the listing. This 4,500-acre working ranch on eastern Maui surrounds the town of Hana. The property boasts two miles of Pacific oceanfront and rises over 2,200 feet up the slopes of Haleakala. Dan Omer of Island Sotheby’s International Realty has the listing. For only the third time in over a century, this 55,374-acre cattle ranch in the Davis Mountains of Far West Texas is on the market. Since 1992, the Rockpile has been owned by McCoy Remme Ranches (No. 41 on the 2011 Land Report 100). James King of King Land and Water is the listing agent. 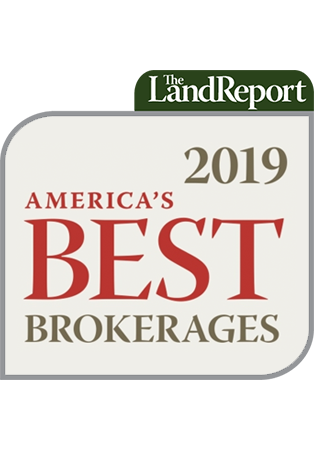 With only two distinguished owners in nearly 100 years and an unmatched record of profitability, the Dana is considered by many to be the finest operating and recreational ranch in the Rocky Mountain West. Supporting 3,000 animal units on 59,000± acres, it boasts over 13 miles of superb fisheries and an incredible diversity of wildlife resources from elk to waterfowl to upland birds. Listed by Dave Johnson with Hall and Hall. This 245-acre Aspen landmark features nearly a mile of Collins Creek and Woody Creek and borders the White River National Forest. Morris & Fyrwald Sotheby’s International Realty has the listing. Click here to download a copy of the November 2011 newsletter.